Grease compatibility charts have been developed and circulated since the 1980s without much alteration. However, grease technology has changed significantly over the years, and there are many examples of performance that contradict several widely used compatibility charts. This article will describe the most common examples of incompatible grease mixing and how to determine if two greases are compatible. A number of organizations rely on compatibility charts to make important maintenance decisions. These charts are readily available in published papers, periodicals and Web pages. Unfortunately, very few charts give any reference for the origin of the data or any research utilized to establish the compatibility relationships described. Significant concerns have also been raised about some of these charts after greases presented as compatible have proven to be quite incompatible. A selection of 17 compatibility charts was recently evaluated for differences. Table 1 shows the labels used in these charts and how many times these descriptions appear in the charts. Seventeen occurrences would indicate that a grease category was present in each of the charts found, and there were only three such products. 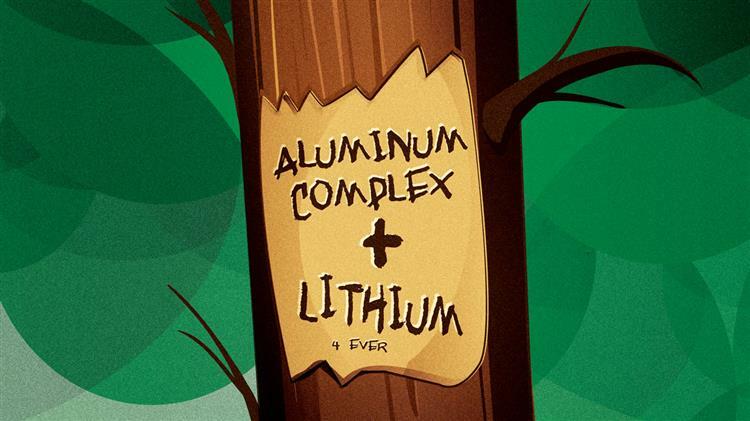 The three products that appeared in each of the tables were aluminum complex, lithium complex and calcium complex. However, the commonality ends there. A total of 25 different product descriptions were found in the 17 tables. Some may have been referring to the same product categories but failed to use common nomenclature, so it is difficult to determine where there might be an overlap. Several contradictions were discovered among the various charts. For example, one chart indicated that barium-complex grease is compatible with clay-thickened grease, while others suggested this mixture is incompatible. Some charts listed polyurea grease as being compatible or borderline compatible with calcium complex, but another chart showed calcium complex to be incompatible with polyurea. Although there were significant disagreements between the various charts, they all had one thing in common - few provided any link or reference to research that was conducted to develop them. That is to say, the charts being used to make significant engineering and design decisions are contradictory and do not indicate the source of information or research used to compile them. Upon observation, it becomes obvious that several of the charts are derived from the others. The various descriptions used imply that some may have been copied from the others. Many charts include a disclaimer, usually stating that it would be preferable to clean out all old grease and avoid any mixing, or that the charts are believed to be accurate at the time of publication. This underscores the challenge of finding a single authoritative chart to be used with confidence when making decisions regarding grease mixing. It is interesting to note that these grease compatibility charts focus only on the family of thickener involved. However, there are three components to any formulated grease: the base oil, the additives and the thickener. When mixing oils, the key considerations are the viscosity of each product, the base oil type and the thickener. Somehow, though, these critical parameters are overlooked when utilizing grease compatibility charts. This is somewhat understood, since the most common reason for grease mixing problems is related to differences in the grease thickener, but that is not the only issue. 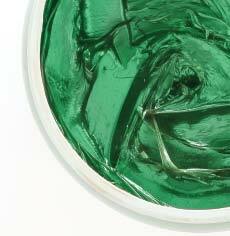 Greases are manufactured from both mineral oil and synthetic oil bases. Some synthetic base oils are incompatible with mineral oils and other types of synthetics, just as in the mixing of lubricating oils. Therefore, it is important to consider the type of base oil in the grease when determining compatibility. If the grease thickeners are compatible but the base oils are not, the resulting mixture can be problematic. 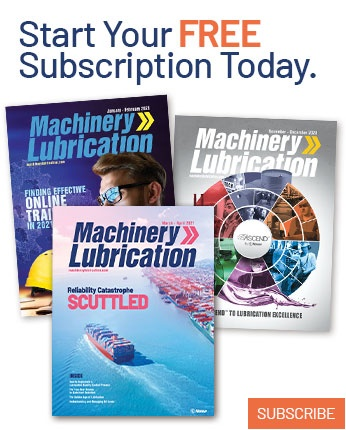 Viscosity is critical when selecting any lubricant. Likewise, when greases are mixed where the base oil viscosities are significantly different, the resulting mixture will not be optimized for the application. It is understood that when oils are mixed, any incompatibility in the additive packages will result in poor performance and often additive reactions creating deposits. While reacting additives will not settle to the bottom in grease, as is the concern in oil, the changes can cause problems, impacting additive effectiveness and in some cases creating corrosive conditions in the grease. 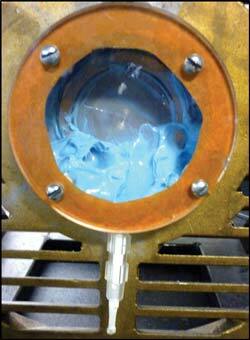 Additive compatibility with the metallurgy of the lubricated component must also be considered. Mixing of greases with incompatible thickeners can result in the most immediate and obvious changes that interfere with effective lubrication. Many mixtures will initially soften, often to the point of migration through seals or away from lubricated surfaces. Some mixtures will cause the thickener to release the oil, with the separated phase running freely from the bearing, gear or housing. Other mixtures harden initially and lead to component load issues and poor grease motility. This potential effect is not easily determined. Simply mixing two greases together to observe changes may not provide any obvious difference. However, carefully mixing the greases in different ratios and subjecting them to mixing, working and heating cycles can reveal measureable changes in properties to predict their performance in a machine. If research has demonstrated the unreliability of the different grease compatibility charts, it is important to discuss what additional steps can be taken to evaluate grease compatibility. ASTM D6185 (Standard Practice for Evaluating Compatibility of Binary Mixtures of Lubricating Greases) involves the mixing of the intended greases in ratios of 25-75, 50-50 and 75-25. The resulting mixtures are evaluated for changes in dropping point, shear stability and storage stability. These last two parameters include measuring changes in the cone penetration value. While this standard has greatly improved the uniformity to which greases can be tested for compatibility, it should be noted that the three evaluation tests are static in nature. Although there is some mechanical working of the grease prior to testing, this is minimal mechanical perturbation. When a grease mixture is introduced into a machine, such as a motor bearing, it will undergo significant mixing and working in a relatively short period of time. This compares to the 60 double strokes utilized to mix and work the binary mixture evaluated in the standard. 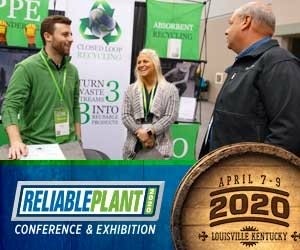 A mixture of greases introduced in a common ball bearing operating at 1,750 revolutions per minute will see nearly 30 million mixing and working events in just three days of operation. This mixture will be subjected to continuous dynamic forces, and its performance and possible degradation will be influenced by this more than the static response seen in cone penetration or dropping point measurements. The ability of this testing to adequately predict in-service mixtures may be reasonably questioned. Some studies have been performed to improve the mixing and working of grease to better simulate machine conditions. The electric motor test stand shown below was developed for the Electric Power Research Institute’s Effective Grease Practices guideline. This test stand consists of the end bell from a 60-horsepower electric motor mounted with a ball bearing in a stub shaft. The shaft is turned by a fractional horsepower motor, coupled to a turned-down shaft. The housing of the end bell is removed and replaced by a Plexiglas window to observe the condition of the grease under dynamic conditions. For the purpose of testing grease mixtures, the 25-75, 50-50 and 75-25 ratios are packed sequentially into the bearing by hand, and the adjacent housing area is packed half full. This is then run for 72 hours to achieve the 30 million plus perturbations of the grease. The conditions observed are noted, and the grease is removed from the bearing. The resulting mixture is analyzed by Fourier transform infrared (FTIR) spectroscopy to note any reaction or unexpected oxidation of the components in the grease. The grease is also evaluated by elemental spectroscopy to assess unexpected final ratios of additives as compared to the anticipated averaging of values seen in the original products, adjusting for mixing ratios. Finally, the grease is tested in a controlled stress rheometer to identify changes in flow and shear properties as compared to the original products. The values measured include the yield stress, which can predict the hardening or softening the grease may undergo; the oscillation stress, which can give insight into the likelihood of oil separation and other effects; and recoverable compliance, which can help to identify those mixtures that might experience “channeling” or “tunneling” in the equipment housing. 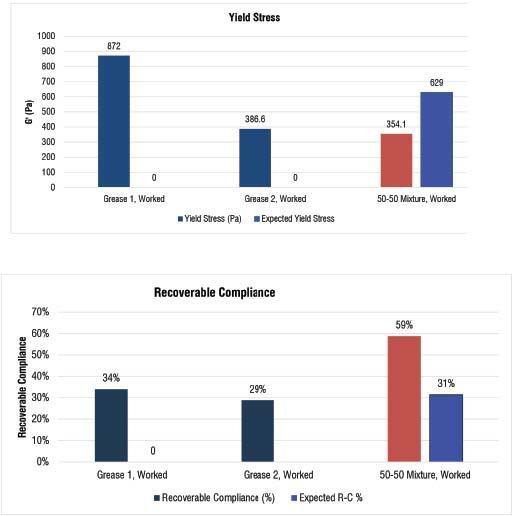 Taken together, these tests may provide a more comprehensive picture of the potential effects of mixing two grease products together and help users avoid reliability issues from grease mixing, even for products that might otherwise appear to be compatible on charts. The following test results for binary grease mixtures were obtained using the previously described methods and the grease mixing test stand to mix and work the samples. The first example is of two common polyurea-thickened greases. This mixture was chosen for a company looking to consolidate the number of greases in its facility. One area of the facility used a particular grease in all electric motors, while the remainder utilized another grease. The goal was to consolidate to one product for all motors. Unfortunately, it would not be possible to completely clean out all of the grease being replaced from the motors. Therefore, it became necessary to verify that one polyurea grease could be added directly to a motor containing the other. According to most grease compatibility charts, polyurea greases are compatible with each other, and such a transition would be allowed. 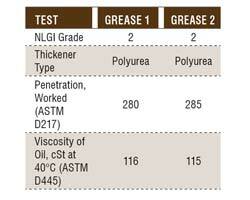 Table 2 shows the product information for both greases tested. These greases are very comparable based on their consistency and viscosity of the base oils. Table 3 reveals the differences in elemental spectroscopy values for the reference greases and the 50-50 mixture. The areas highlighted in yellow show the contrast between the greases and evidence of mixing. These variations reveal an obvious formulation difference between the greases (most likely involving anti-wear additives), but this alone would not be sufficient to disqualify the mixture for compatibility if the resulting product still functioned effectively with regard to wear resistance. Table 4 shows the rheological values for the two worked reference samples and the 50-50 worked mixture. The areas highlighted in yellow indicate values of concern. In this case, each of the values for the 50-50 mixture is significantly different than the expected numerical average of the unmixed greases. This demonstrates a change in properties due to mixing and raises concerns about this mixture’s performance in the long term. It could be expected that the mixture may be subject to softening, oil separation and a tendency to channel when allowed to persist in a mixed state in the motor housing. For this reason, the mixture was not permitted at the facility, and the decision was made to keep two greases in place until the motors could be removed and thoroughly cleaned of the existing product. It can be difficult to avoid mixing greases in a plant environment, but several steps can be taken to minimize the impact and likelihood of mixing incompatible greases. All personnel involved in applying grease to equipment should be trained and receive instruction on the proper product to use on each piece of equipment and the location. This includes employees and contractors who may be working in the facility. Provide labels and color codes where possible to prevent confusion. A common area for grease mixing is in new and rebuilt equipment. Even when all plant personnel are given clear guidance on using the correct products, equipment may be returned to the facility with a grease that is different than what will be added while in service. New bearings, gears, motors, etc., often come supplied with a product that is incompatible with the grease being used to relubricate. Identify the minimum number of products required to meet the design of the equipment in use and consolidate to that number. Do not stock additional products for convenience or brand loyalty. This increases the likelihood of mixing. If the wrong grease has been inadvertently added to a machine or consolidation is required that will transition the use of a product in a machine, perform simulated mixing and working of the mixtures as well as dynamic properties testing to evaluate the mixture’s performance. For those mixtures that prove to be incompatible, the extra effort must be taken to thoroughly clean all traces of grease from the housing, supply lines and bearings/gears to ensure long life and reliable machinery operation. Grease compatibility charts may seem to be a convenient way to make decisions based on actual or potential grease mixing. 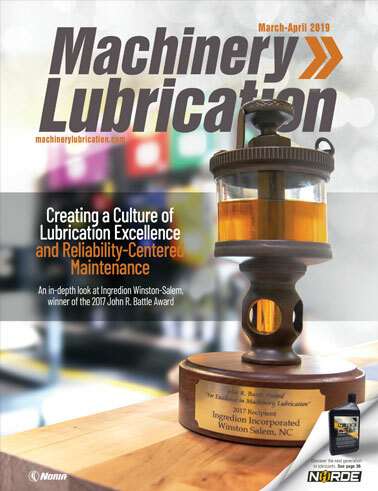 However, the unreliability of these charts and the complex interaction of base oils, additives and grease thickeners require that a more certain approach be employed for optimal equipment performance. The efforts to avoid mixing where possible and to test mixtures for compatibility issues as well as taking the appropriate actions will be an investment in reliability that will pay dividends.